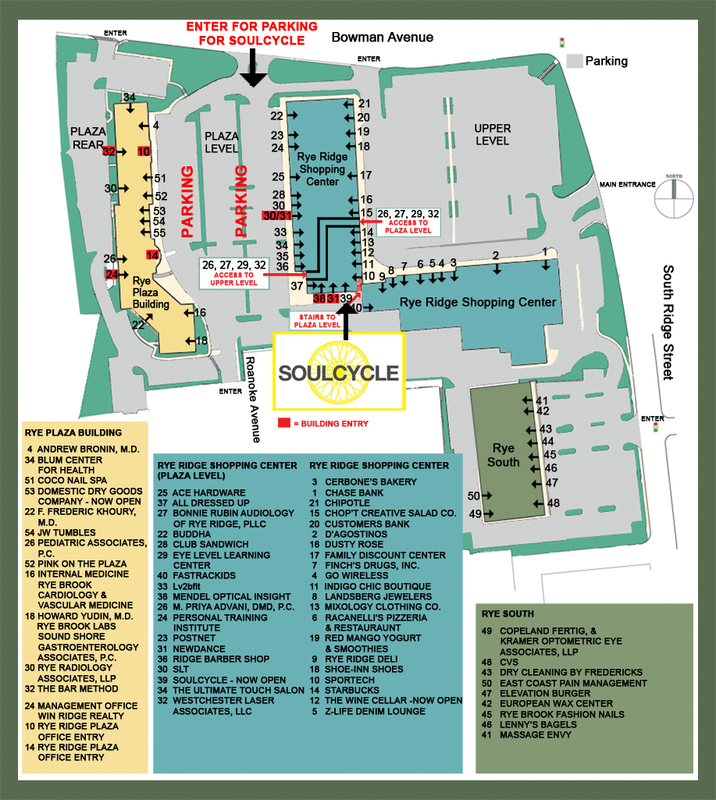 SoulCycle® is the country’s premiere full-body indoor cycling workout. Co-founded by Elizabeth Cutler and Julie Rice, SoulCycle® opened its first location in the heart of New York City’s Upper West Side in April 2006 and since has taken the country by storm. Since it’s inception, SoulCycle® has become a fitness destination where you can take a journey, change your body and find your soul. SoulCycle Rye Ridge, the brands 21st location nationwide, is complete with a 47-bike studio, home to the signature SoulCycle workout. The location also features men’s and women’s locker rooms and showers, custom SoulCycle Listening Bar, signature SoulCycle Polaroid Wall and retail boutique. SoulCycle has revolutionized indoor cycling by making it a full-body workout. In addition to burning between 500-700 calories and toning the body from head to toe, we ride in a candlelit serene studio with a customized rocking playlist – SoulCycle is a cardio party on the bike! SoulCycle is a spin studio like no other. SoulCycle’s full-body workout has revolutionized indoor cycling and taken the world of fitness by storm. SoulCycle combines inspirational coaching and high energy music. Beyond providing an intense cardio workout, SoulCycle also incorporates a mental component of inspirational coaching. By keeping the lights low and riding by candlelight, SoulCycle creates a cardio sanctuary where riders come to clear their heads.